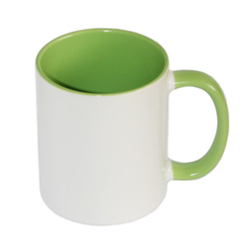 We are the best in this market for offering the wide array of Promotional Mugs to our desired clients. - Its 11oz white sublimation ceramic coffee mug. 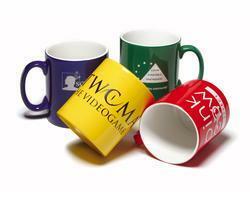 We are the renowned manufacturers, exporters and wholesalers of advertising or corporate promotional and gift mug. We are engaged in offering a quality approved range of Promotional Coffee Mug. Being a renowned enterprises in this industry, offering an optimum quality assortment of Camera Lens Mug to our customers. These products are made using finest quality components.